Backup tools in GD Press Tools 4.0 are mostly rewritten and they have many new features added and improved. Now you can backup full website (all files or only partial), interface is improved, backup logs are added, list of scheduled backups and much more. With each backup, plugin is saving the log file with backup job details and backup progress and status. This file can be included in the archive file. Running backup now is not creating one time only job, but it’s running job in the background, and plugin is waiting for the response on the job process and if the backup is successful it’s adding it to the list without reloading the page. Scheduling jobs allows you to set how many old archives to keep, so you can set daily backup job that will keep last 7 archives only, and remove backups older than that. Backup works for normal WP installations and with multisite/network installations allowing super admin to backup everything, and individual websites admins can only backup their own files and database tables. 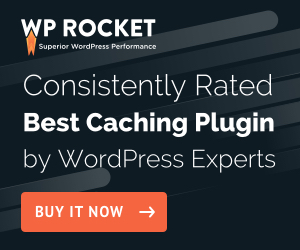 GD Press Tools is the only backup plugin for WordPress that supports backup in multisite environments! List of archives is displayed on the image below. You can now delete and download archive, you can upload it to CDN or FTP manually and you can see the log file. If you use job scheduling, all schedules for backup you make will be available on the Jobs tab. For each job you will see list of job tasks, next run date and time, schedule interval. You can delete jobs in the list. Backup for files is unlike anything seen in any of the WP backup plugins (both free and commercial). You can backup full installation, only files belonging to individual blogs (in multisite environment), or you can do partial backups. There are several predefined partial backups: only plugins, only themes, only htaccess and wp-config, wp-contents folder. Using filters, more partial backup tasks can be registered. Also, exceptions can be defined (name of files and folders to match, like SVN or CGI-BIN folders), list of exclude files and folders to skip during backup (no need to backup W3 Total Cache plugin cache storage, or similar folders). New backup is fully functional already, but if you have any suggestion for it, you can leave comment here or in the forum. There is still time to make more improvements to Backup system.